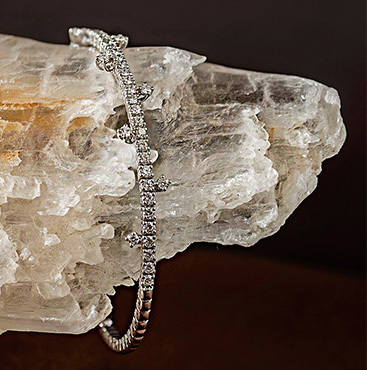 The diamond bangle shown here in 18 kt. white gold features a magnetic closure and has a total weight of 1.38 carats. It is available with numerous colored gems as well as in yellow or rose gold. 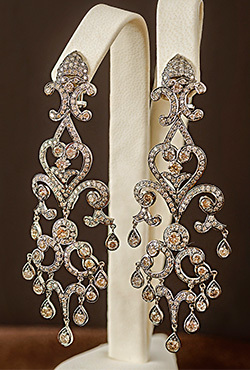 398 brilliant cut diamonds shimmer in these kinetic, custom-made 18 kt. white gold chandler earrings. Total carat weight is 10.46.